The Danes are on a creative bender right now. First came Reffen, an abandoned shipyard turned outdoor food market. Then came CopenHill, Copenhagen’s new clean waster power plant, which you can literally ski down. 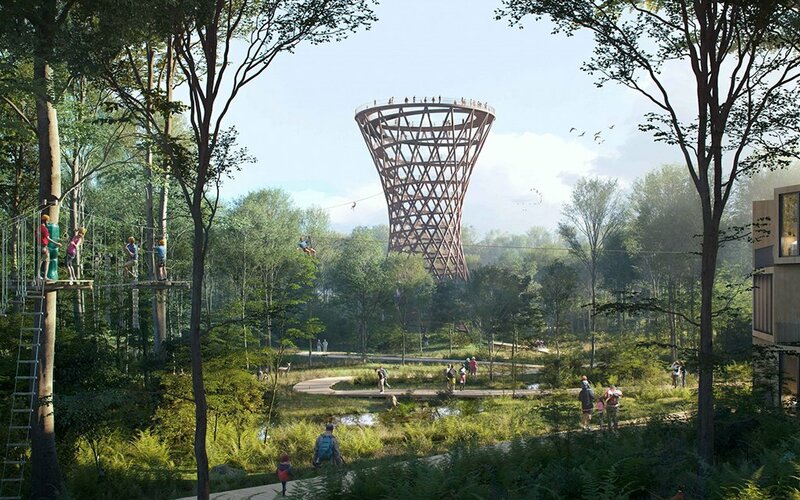 And their latest brainwave is Forest Tower, a 150-foot-tall spiral canopy perched above the woodlands of Gisselfeld Klosters Skove, a protected area one hour south of Copenhagen. 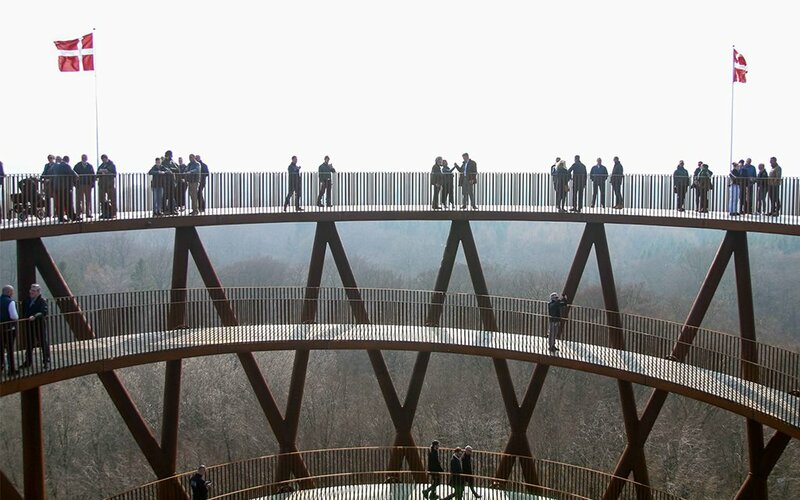 Forest Tower is actually the end-reward of a larger experience at Gisselfeld Klosters Skove — a 2,133-foot wooden walkway that weaves through woods and wetlands before reaching the observation deck. Denmark isn’t exactly known for its nature, at least not in the way the globe celebrates its mountainous, fjord-heavy Nordic neighbors of Iceland, Finland, Norway and Sweden. It’s a flat country with straightforward terrain and flaura. But much like Danes have embraced that flatness (bikes) and imbued their cuisine with those supposed “boring'” ingredients (foraging), they’ve figured out a way to make something exciting here. 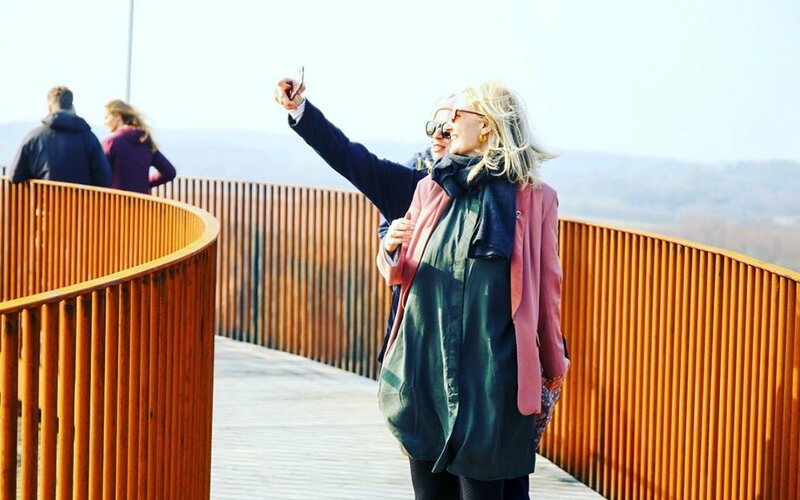 Forest Tower, then, is a way for Danes or visitors to leave the city while exploring and enjoying the countryside in a sustainable way. 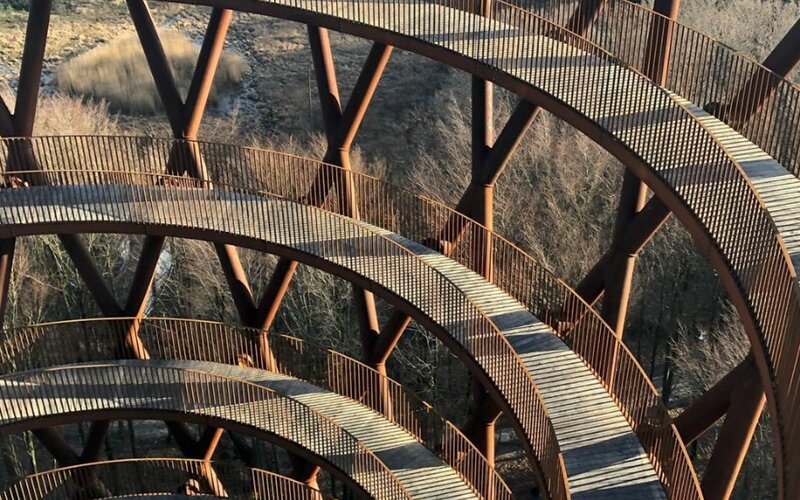 At the top of the observation deck, visitors can get a different vantage point of Copenhagen on a clear day, or of the Øresund Bride, which connects the city to Sweden. And aside from the stroll, there are activies along the route. Forest Tower is part of Camp Adventure, which includes zip-lines and ten different climbing courses. As for getting there, you can take the train from Copenhagen Central Station down to Haslev. Zealand (the most populous island of the country) is super small, and the trip should only take about an hour. 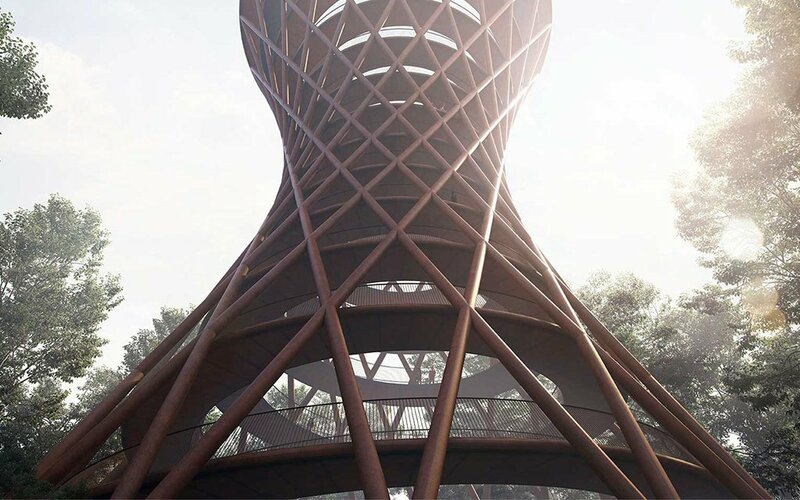 And while you’re in Copenhagen, make sure to check out Reffen, CopenHill, and whatever crazy other landmark they’ve drawn up while we’ve been writing this piece. For more information on Forest Tower, head here.